If you have a SolidCP plan with us, you can register your own nameservers (ns1.yourdomain.com and ns2.yourdomain.com). 1. 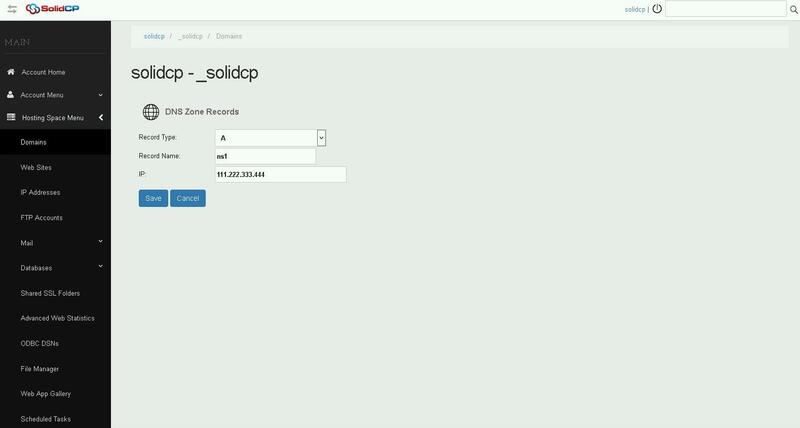 Log into the SolidCP and go to the Domains section.